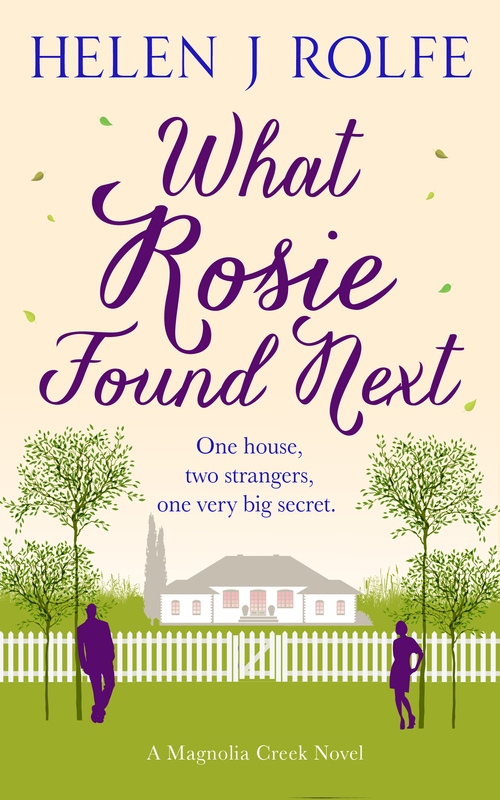 This Book Review and Author Spotlight is part of a Blog Tour of ‘What Rosie Found Next’ by Helen J. Rolfe, organised by Brook Cottage Books. Now and again you read a wonderful book that’s like taking a holiday. No stress, no fussing, just relaxation and enjoyment. That’s exactly how I felt when I read What Rosie Found Next by Helen Rolfe. It’s no spoiler to say that there’s a happy ending, and that’s something the reader senses right from the start, but how to keep the reader interested? It’s not an easy task to convince the reader to keep turning the pages, but Helen Rolfe succeeds delightfully. What’s her recipe? She makes sure we’re interested in the characters and the plot. I was really interested in Rosie and her life, which was at an emotional and professional crossroads, and of course, I was also interested in Owen’s family secret. It was fun to watch their interaction, from his first unexpected intrusion, moving on to friendship, and more. There were also some ups and downs to the romance and twists in the plot, mainly due to a love triangle, including Rosie’s boyfriend, and Owen’s family secret. I loved the setting in Magnolia Creek, in Australia, including various visits to nearby beaches. It was also interesting to read about how the population prepares for and deals with bushfires. I’m impatiently looking forward to reading more books in this series. I’d like to thank the author & Brook Cottage Books for my advance copy in return for an honest review. 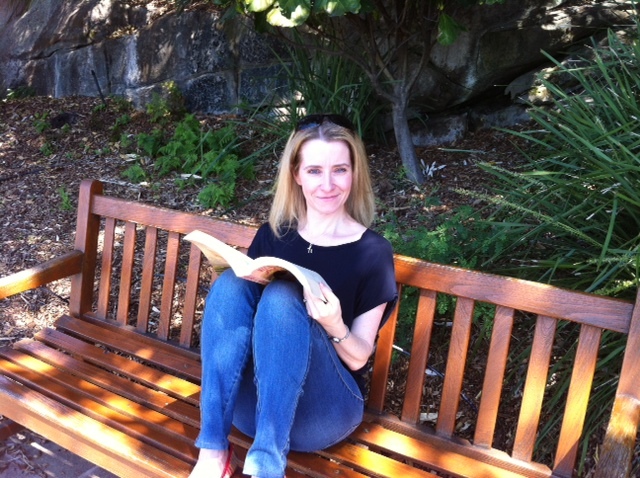 I’ve asked Helen to answer some questions about her novel and her writing process, so let’s find out more about this talented writer. 1. What would you say to a reader to convince him/her to buy your book? My books are an escape with the beautiful settings and love stories about characters and lives that aren’t necessarily easy. My characters in The Friendship Tree, Handle Me with Care and What Rosie Found Next all have challenges that readers will relate to I’m sure, and the books deal with heavy issues in a way that leaves you feeling uplifted. If you enjoy romance, family stories and blossoming friendships, you’ll enjoy my books. 2. What inspired you to write What Rosie Found Next? That’s a tough question and I can’t actually remember what triggered the initial idea although I remember when I thought of it I was living in Australia and it was the height of summer. So I guess perhaps the news of bushfires in Victoria may have given me the foundations for my characters and the setting of Magnolia Creek. My ideas often start as small as that and then the characters come to life in my mind and I write a bit of a CV for each of them. This was the first book in the Magnolia Creek Series too so I did spend some time thinking about the town, sketching out where people lived, thinking of characters who may have stories of their own in later books. 3. Can you tell us about your writing routine? I write Monday to Friday and sometimes a bit on the weekends although I have young children and so weekends are all about family time whether it’s cooking together, playing board games or going to the park or for a walk. When I write I work during school hours which is great. The house is quiet! I generally answer emails and go onto Social Media first and then with a clear mind I can get on with my Work In Progress. Like many other writers I do procrastinate – who doesn’t – but try to discipline myself as much as I can. I’m writing the second book of the Magnolia Creek Series but I can’t say much else for now… I’ve finished the first draft and am now working my way through editing. It’s quite daunting! I can’t wait to share it with readers sometime in 2016. Thank you for answering my questions, Helen, and I’m impatiently waiting for book two! Thank for introducing me to another Aussie! My daughter and her husband were just there for three weeks – had a blast and met fellow blogger Irene Waters to say hello for me! I know what you mean about books that make you feel relaxed and you just enjoy. It sounds great. Thanks, Olga. I’m a real reading junkie I love an enjoyable fun novel! You certainly look relaxed in your pic. I feel left out…I am an American from South Carolina. All the Aussie’s commenting. Look forward to reading this book. New to your blog and author. I think the colors of the cover are nice. Thank you for all the lovely comments! I really enjoyed writing What Rosie Found Next, and it was an excuse to indulge in a little imaginary trip down under again. I lived there for 14 years and some days I really miss it, especially when it comes alive in my writing and makes me feel as though I’m there. Australians are wonderful people too… oh look at me, I’m getting all nostalgic!